Scientist Alessandro Volta was born in Como, Italy, into a noble family. Alessandro Volta was the inventor of the voltaic pile, the first electric battery. In 1775 he invented the electroplates, a device that, once electrically charged by having been rubbed, could transfer charge to other objects. Between 1776 and 1778, Volta discovered and isolated methane gas. 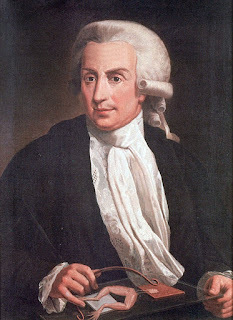 When Luigi Galvani’s experiments with ‘animal electricity’ were published (1791), Volta began experiments that led him to theorize that animal tissue was not necessary for conduction of electricity. Proof of this theory was the battery, which Volta invented in 1800. He built in 1800 the first electrical pile, or battery – a series of metal disks of two kinds, separated by cardboard disks soaked with acid of salt solutions. 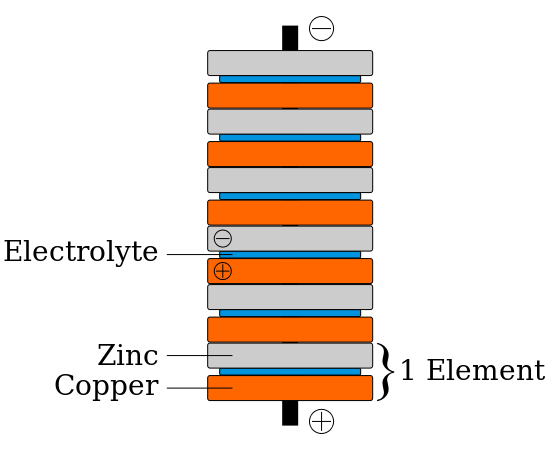 This is the basis of all modern wet-cell batteries, and it was a tremendously important scientific discovery, because it was the method found for the generation of a sustained electrical current. 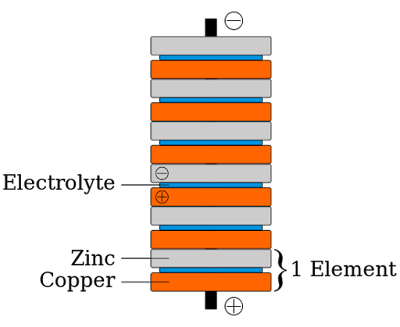 Volta built different piles using thirty, forty or sixty elements. This enabled him to study the action of the pile on the electric fluid, depending on the number of elements, and he confirmed that the electric shock increased in intensity with the number of elements used in the pile. If more than twenty elements were used, it became painful. The first piles constructed by Volta comprised alternating zinc and copper discs. Each was separated from its neighbor by a piece of cloth or card dampened by an acid solution. The column was supported by three vertical glass rods. 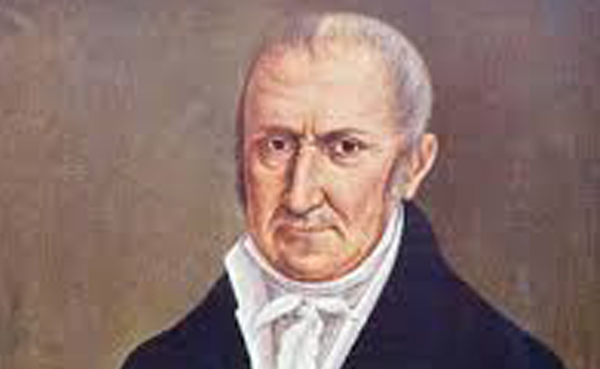 However, regarding Galvani’s biological experiments, Volta effectively rejected the idea of an ‘animal electric fuid’. 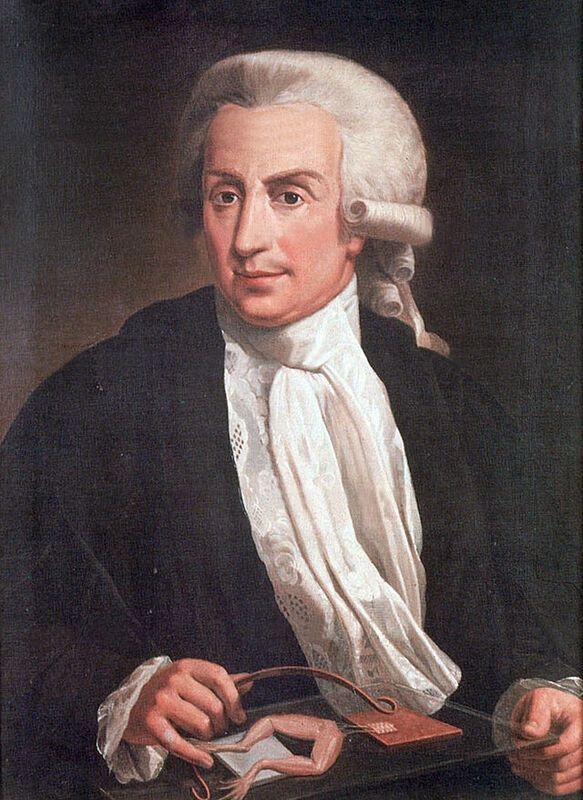 The Galvani vs. Volta debate was one of the most interesting episodes in the history of science, and was devoid of personal animosity, because Galvani and Volta were both gentleman and friends, and also had high scientific principles. 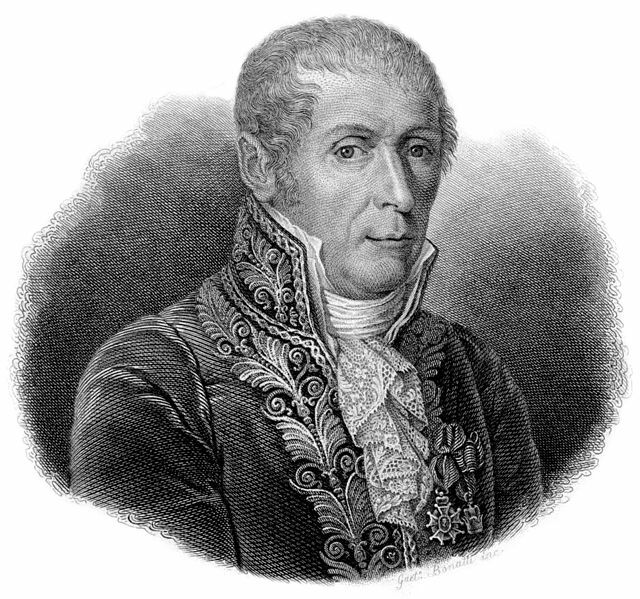 In fact, Volta, who generously coined the term galvanism, wrote that Galvani’s work “contained one of the most beautiful and most surprising discoveries.” Upon demonstrating the workings of the voltaic pile to the French Academy of Science, he was made into a count of Lombardy by Napoleon Bonaparte, he was made into a count of Lombardy by Napoleon Bonaparte, who had dominated that part of Italy. 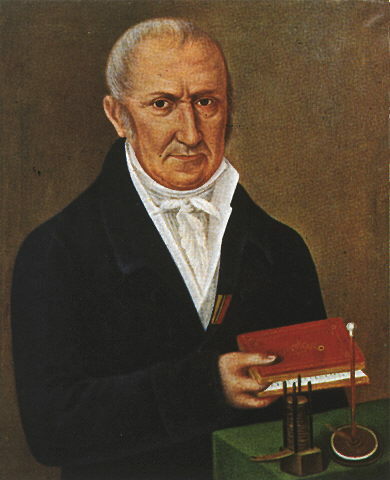 The emperor of Austria made him director of the philosophical faculty at the University of Padua in 1815, 12 years before the day he was to die. 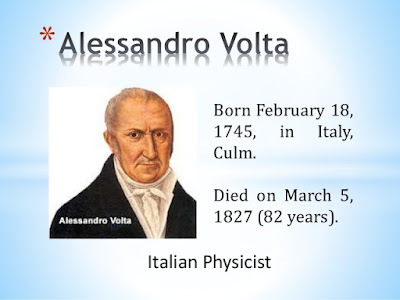 The Volt as we hear today, was named after Alessandro Volta in 1881 in honour and memory of him.